Dr. Karen Shawn, visiting associate professor of Jewish education at Yeshiva University’s Azrieli Graduate School of Jewish Education and Administration and editor of its publication PRISM: An Interdisciplinary Journal for Holocaust Educators, led three presentations about the journal during an open house at Congregation Oheb Shalom in Baltimore, Maryland on April 28 in honor of Yom HaShoah, Holocaust Remembrance Day. The presentations focused in part on the Spring 2014 issue’s incorporation of unique artwork by renowned children’s book illustrator Nancy Patz and included a discussion on how teachers can contextualize artifacts from the Holocaust to enrich their curricula. Shawn will lead two similarly-structured workshops at Holocaust Museum Houston (HMH) on Monday, May 19, 2014, for members of the Warren Fellowship for Future Teachers, a week-long program that introduces university students preparing for a career in teaching to the history and lessons of the Holocaust and other genocides. One workshop, “Artifacts and Their Importance in the Museum Setting,” will be co-taught by Shawn, Patz and HMH Director of Education Mary Lee Webeck. The second, “Understanding Jewish Life in the Shadow of Destruction,” will be led solely by Shawn and include a slide show, lecture and 50 documentary photographs and drawings to helps learners understand how Jews lived, resisted, and responded to the events and dilemmas that were unfolding around them. In addition, Goucher College will host a gallery housing Patz’s work for PRISM opening in September 2014. Docents will be on hand every day to help teachers and their classes navigate the art and learn how to incorporate artifacts into their teaching and learning. 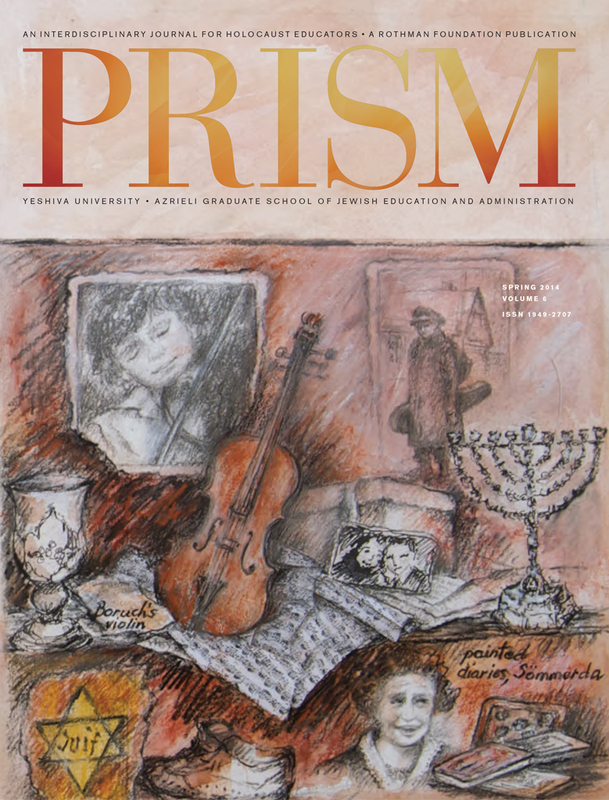 Each teacher will get a copy of PRISM as well as lesson plans designed by Azrieli graduate students in Shawn’s Holocaust Education course with suggestions for how to use the journal in the classroom.